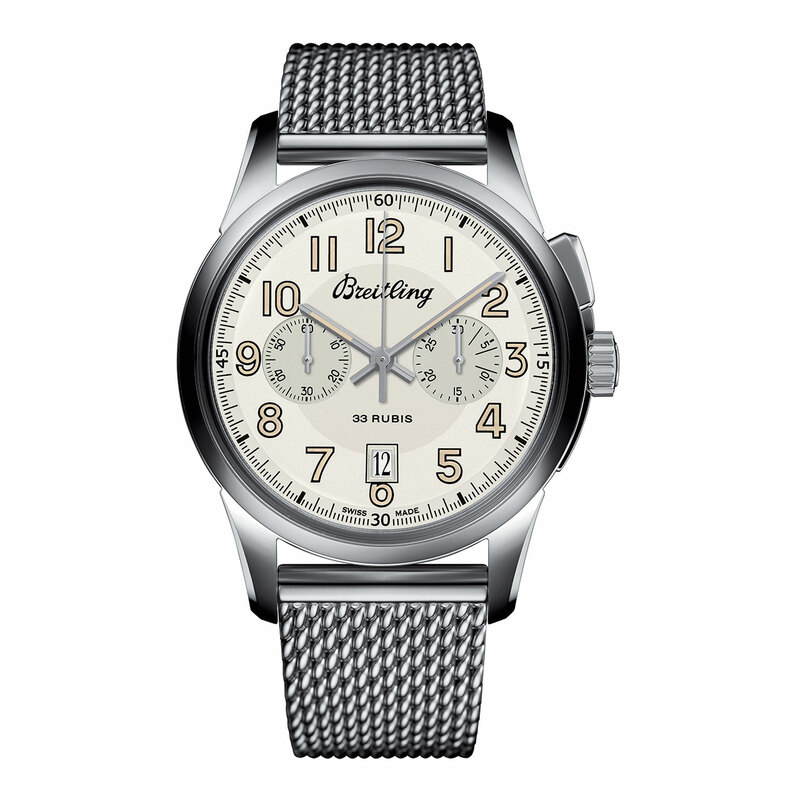 At a time when chronographs had just a single pushpiece in the crown, in 1915 Breitling invented the first independent pushpiece at 2 o'clock, which ensured a better separation of functions and adapted more naturally to the user's hand. To celebrate the 100th anniversary of this milestone invention that would change the face of the modern chronograph, Breitling introduces the Transocean Chronograph in a 1,915-piece limited series, equipped with a new manufacture monopusher movement featuring a double column-wheel system (patent pending), a transparent sapphire crystal back and a vintage-inspired dial. 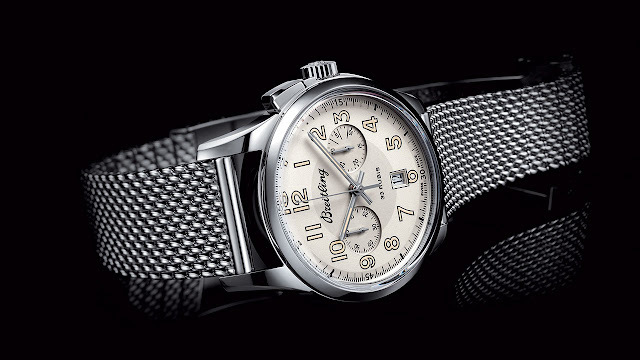 The steel case incorporates the famous 1915 pushpiece in a redesigned, elongated, smoothly integrated form that further enhances its functionality. Truly a collector's item, complete with official COSC chronometer certification, that will delight the chronograph's innumerable fans.